My name is Joel Aguirre & I am an adept land & hydrographic surveyor, expert applications engineer, certified technical support and trainer in various GPS & INS positioning systems, robotic total station, terrestrial laser scanners, mobile LiDAR, side scan & multibeam sonars, and all kinds of survey acquisition & post-processing software. 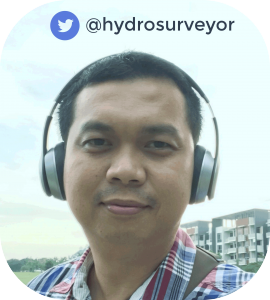 With hydrosurveyor.me, I would like to share my knowledge in operating the tools of the trade. If you find the equipment brand or model through a search in this site and need help with it, Ask me. The list is far from complete for now but I’ll continually update. If you want to comment, subscribe or contribute a post, you are welcome to Register.